If you own a goldfish, you might notice that different lighting situations can drastically affect his body coloration, although on temporary basis. Whether a goldfish sports light or vivid coloring depends on his living environment. Goldfish respond to low lighting conditions by taking on paler overall looks. If a goldfish lives somewhere where he receives plentiful light, he might keep perpetually intense coloring to his body, say fiery orange as opposed to light orange. If he lives somewhere where conditions are consistently darker, such as deep rivers or lakes, he might always look light and somewhat lackluster in comparison. When lighting dims, goldfish respond by not only taking on lighter colors, but also by becoming markedly less lively and dynamic. Lower lighting makes for goldfish that are more muted in behavior. It also cues them to go to "sleep," despite the fact that they're unable to shut their eyes, which lack eyelids. Goldfish frequently hide behind something when they rest and might move closer to the bottom of the aquarium. They don't stay completely motionless during this time, as subtle motions are vital for maintaining their equilibrium. When bright lights return abruptly, it generally shocks goldfish. It sometimes even causes them to hide out more. Their coloring doesn't instantly revert to its former brightness, often taking several minutes to change. 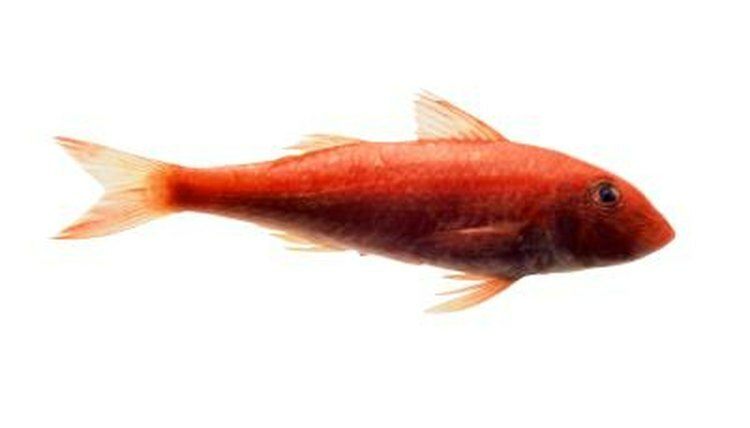 When goldfish are colorful again, they cautiously start to swim, waiting to fully gain their energy and alertness back. Since goldfish typically don't appreciate these jarring switches from darkness to lightness, try to be as slow and measured as possible in these changes. Remember that the little guys don't have eyelids, so keeping their eyes shut isn't an option for them. Goldfish skin coloring not only is affected by lighting, but also by the food they eat. Goldfish extract much of their skin pigmentation from their meals. Many typical fish foods contain plant pigments called carotenoids, which help provide deeper yellow and gold coloring. Just as humans often go gray as they age, goldfish experience some color shifts with the normal aging process. Some goldfish change into different, often lighter, colors entirely, while others develop more subtle versions of their basic coloration. Pond Guy: Why Are My Goldfish Changing Colors?